Just in time for the holidays, we’re getting into the spirit of the season by unveiling the 100 Best Restaurants for Groups in America 2017. From coast to coast, the complete list features restaurants across 26 states, with New York boasting 20 winning restaurants, followed by Illinois with 18, California with 13, and the District of Columbia and Nevada both claiming nine. 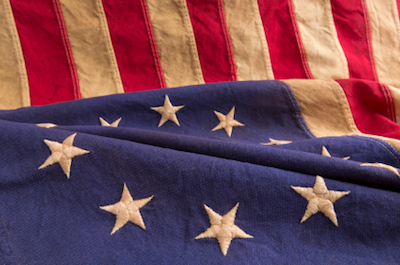 Florida, Georgia, Indiana, Kentucky, Maryland, Massachusetts, Michigan, New Jersey, Ohio, Pennsylvania, South Carolina, Tennessee, Texas, and Washington are also represented. It comes as no surprise that the Big Apple, known for its outstanding dining scene, is home to several restaurants found on this year’s 100 Best Restaurants for Groups list, including Jean-Georges Vongerichten’s ABC Kitchen and Keith McNally’s iconic French brasserie Balthazar. Chicago also has an impressive presence with celebrity chef Stephanie Izard’s three local hotspots, Duck Duck Goat, Girl & the Goat, and Little Goat earning their stripes. From classic steakhouses to buzzy Asian fusion eateries, there is an eclectic array of cuisines represented among the winners. The 100 Best Restaurants for Groups in America 2017 list is generated solely from more than 10 million verified OpenTable diner reviews collected between October 1, 2016, and September 29, 2017. All restaurants with a minimum “overall” score and qualifying number of reviews were included for consideration. Qualifying restaurants were then scored and sorted according to the percentage of reviews for which “great for groups” was selected as a special feature. ‘Tis the season to be jolly. In our book, that means sparing ourselves the dishes and dining out. A lot. Since we love reveling in the Christmas spirit, we point our proverbial sleighs toward eateries that are equally excited (and wear that excitement if not on their sleeves than everywhere else!). 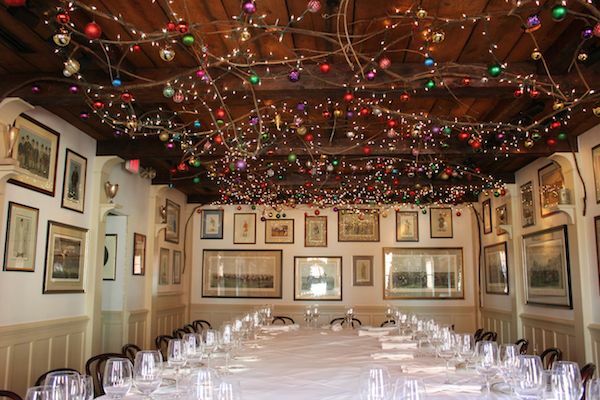 From festive decorations and visits from Santa himself to special menus and live caroling, here are seven top holiday restaurants that truly deck the halls. The staff doesn’t hold back when decorating this Federal-era home turned restaurant in historic Georgetown. Every room is festooned with lights, wreaths, garlands, and festive glass balls. Dinner comes with a side of caroling. The Washington Men’s Camerata visits the restaurant December 13th through 24th from 7-9 PM to sing a variety of holiday choral classics. Pro tip: Even if you were the star of your college a cappella group, you should keep quiet and let them perform. On Christmas Eve, guests will enjoy a beyond decadent a la carte dinner with foie gras torchon perked up with orange marmalade and pickled celery, coddled egg and lobster, and bucatini topped with Nantucket bay scallops (white truffles optional, but highly recommended). 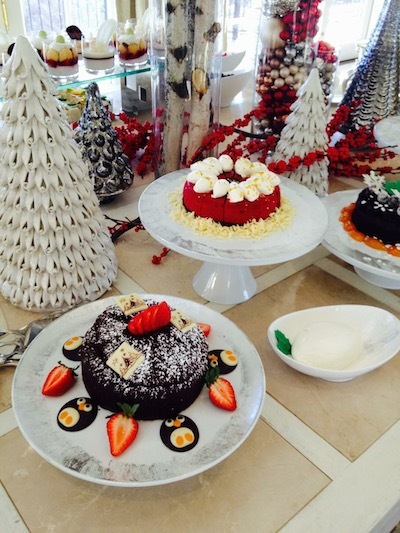 Tom Colicchio and his team celebrate the season in a big way. Previously, they’ve decked out a tree in record decorations, blue lights, and miniature jukeboxes to pay homage to Elvis’ Christmas Album, which Colicchio’s father spun during the holiday season. The pastry team always outdoes themselves with extra delicious decorations. 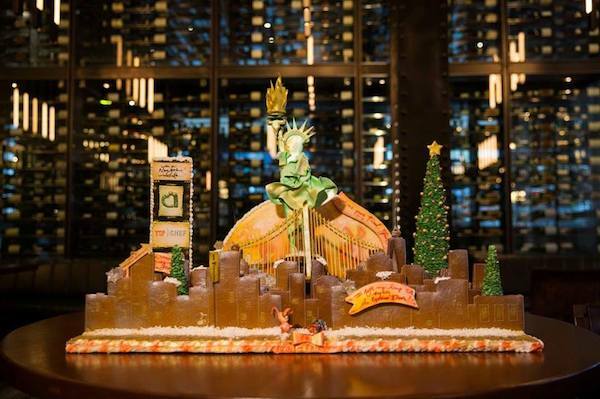 Last year, they created a gingerbread skyline of New York City topped off with Lady Liberty. 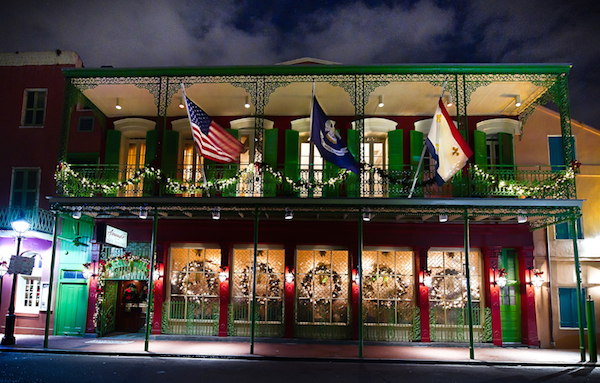 This Big Easy institution adorns its exterior with garlands and wreaths all twinkling with little white lights. From December 1st through 23rd, guests can choose the celebratory five-course Réveillon dinner ($49, not including tax and tip). Dishes include duck rillettes enlivened with caramelized onions, radishes, and cherry confit, Creole onion soup en croute, roasted Cornish game hen with mayhaw demi-glace, and a classic tarte tatin. Good times guaranteed. Perched on Lafayette Square across from the White House, this D.C. dining powerhouse offers a very merry buffet ($110 per adult, $52 for children 12 and under, not including tax and tip). Highlights include duck magret with a mélange of mushrooms, braised beef ravioli, and a raw bar boasting baby lobster, shrimp, and snow crab claws. Save room for an epic dessert selection from talented pastry chef Josh Short, such as peppermint white chocolate cheesecake, toasted walnut snowballs, bûche de Noël, smoked pecan brittle, cranberry panna cotta, and a heavenly host of holiday cookies. 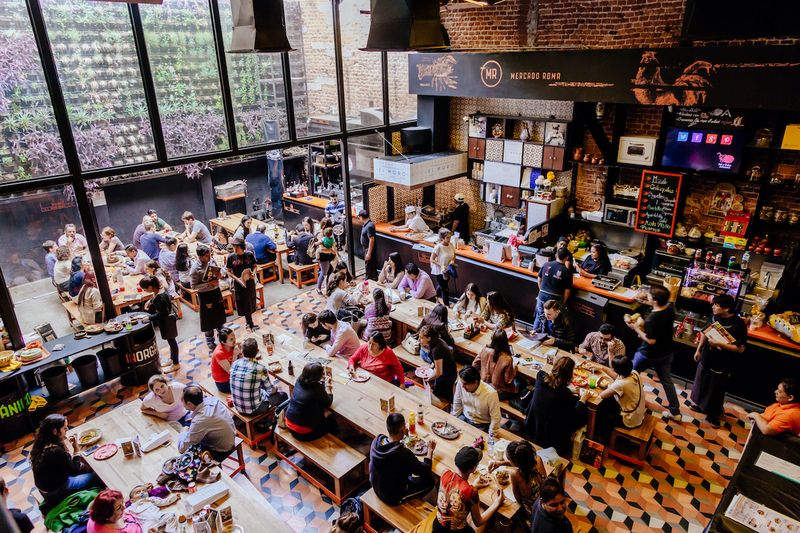 Have you dined at any of these award-winning restaurants? In celebration of the holiday dining season, we are pleased to announce the 2012 Diners’ Choice Award winners for the Top 100 American Fare Restaurants in the United States. These awards reflect the combined opinions of more than 5 million reviews submitted by verified OpenTable diners for more than 15,000 restaurants in all 50 states and the District of Columbia. The list of winners, which includes Annisa in New York City, Lola in Cleveland, and Sweet Basil in Vail, Colo., spans 31 states and Washington, D.C. Texas has the greatest number of winners with 10, followed by California with eight winners, and New York and South Carolina with seven each. Maryland boasts six winning restaurants, trailed by Colorado and Missouri with five honorees apiece. Kentucky, Ohio, and Pennsylvania all have four winning restaurants, while Connecticut, Georgia, North Carolina, Tennessee, and Virginia have three each. Florida, Kansas, Michigan, Minnesota, New Jersey, Oklahoma, Utah, and Washington, D.C. all have two award winners. Arkansas earned a single spot, as did Arizona, Hawaii, Illinois, Indiana, Massachusetts, Maine, Oregon, and Washington.